We offer dancers the opportunity to float on air with our 4200 sq.ft. floating wood dance floor in a spacious 8,000 sq ft. facility including a private practice floor. We also have large modern restroom facilities and a snack bar. 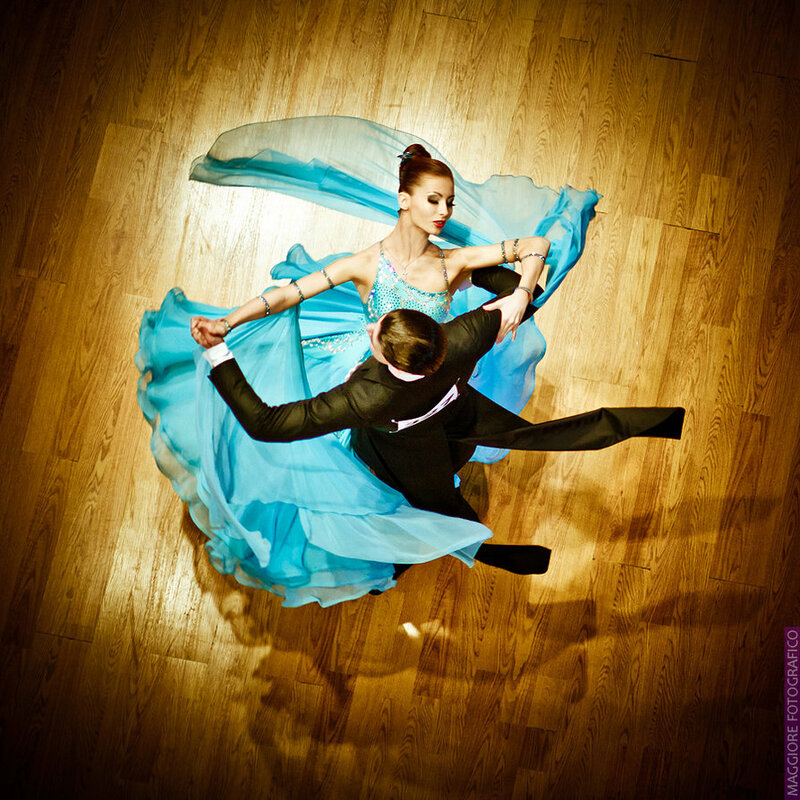 We offer Social Ballroom, Latin and Swing Dances every Saturday night and is open to the public, so bring your friends for what will be a wonderful evening of fun and dancing! We will start our party with a fun group class from 7-8 pm, followed by general dancing from 8:00-10:30 pm. Join us for Practice Nights on Thursday at 7 - 8:30 pm and is only $5. Requests are welcome. Meet with friends to practice in a casual atmosphere. Beginning and Intermediate Group classes take place on Monday,Tuesday, and Wednesday nights, lessons vary each month, check our calendar for updates. Conveniently located at 3100 S. Ridgewood Ave. (U.S.#1), South Daytona, FL. One traffic light south of Reed Canal Rd. Turn onto Venture Drive off S. Ridgewood, the building is straight ahead 500 ft. It is a short drive with easy access from Titusville, Orlando, St. Augustine and Palm Coast. Learning to dance is easy at the Gold Star Ballroom . Come find out what makes us different. If your goal is to become a comfortable, well-rounded social dancer, or to learn the latest moves in your favorite dance, you will always get more values for your money when taught by the most patient, experienced and talented instructors in the area. We offer space for independent instructors to teach private or group classes in many different types of dance! Looking for an instructor?, check the instructor page for more info. The independent instructors at Gold Star also specialize in teaching wedding couples and people who have never danced before. They understand many people solely wish to dance for fun, so this is no pressure on students to compete or perform.